The constructions of Joyce Altheer look very simple. They seem to serve a purpose, to have a mechanical function, but it is not completely clear which function that might be. Remarkable objects which arouse curiosity about their meaning. Pieces with their very own style. For Joyce Altheer, mechanisms are an important source of inspiration. 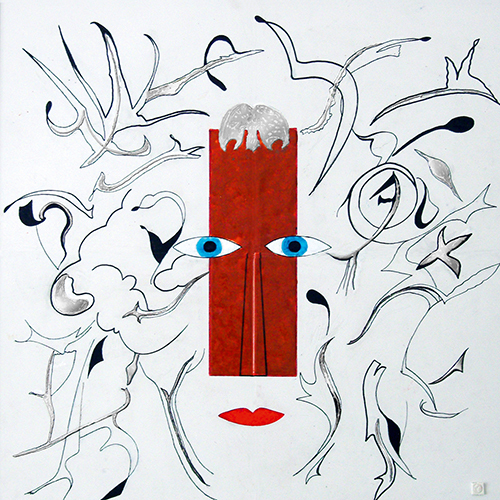 She constructs simple shapes, intriguing and balanced. These are clear abstractions of parts, tools. Inventions without a clear purpose. Inventions trouvées. „They have no other meaning as such other than as a shape. That is the point for me. The shape, the interaction between parts. The balance, the simplicity, the object in relation to its surrounding space. At the same time, a piece has to come across as logical, natural, easy to read from all sides. Without being too obvious.“ In her work, the same shapes recur: wheels, forks, brackets, cones, levers. Industrial, robust, tough. There is a development of combinations, themes, such as a heavy-looking object that visually seems to break free from its foundation. Floating heaviness. 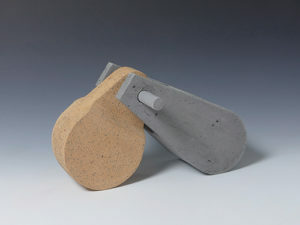 This is reinforced by the concrete look, achieved by adding certain substances to the clay. I first had the opportunity to see a representative exhibition of the work of Robert Metzkes at the Georg Kolbe Museum in Berlin in the spring of 2014. Until then, I had come across one or two life-size figures by the artist in a gallery somewhat by chance and had been strangely moved by them. 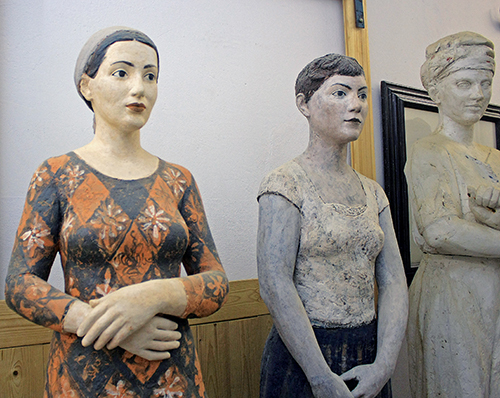 During the same period, a parallel exhibtion was running at the gallery LEO.COPPI in Berlin, which represents the artist, focussing on the terracottas from the last three years of his work. The exhibition at the Kolbe Museum, entitled Menschenbilder („Images of Humanity“), was being shown for Robert Metzkes’ 60th birthday, who by this time could already look back on a noteworthy body of work. For me it was of particular interest to learn that a sculptor had now been using ceramic materials to interpret his ideas if figural sculpture for more than three decades. A major benefit of this choice lies in being able to create sculptures independent of a bronze foundry. 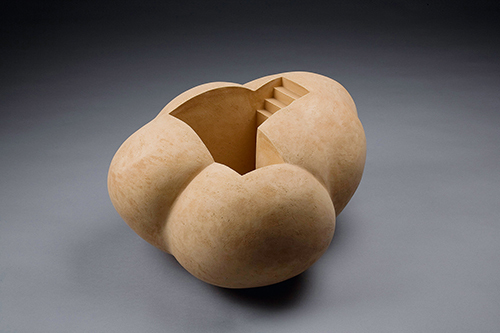 Hadrian Mendoza is a Philippine-born ceramic artist who is currently based in Washington DC. 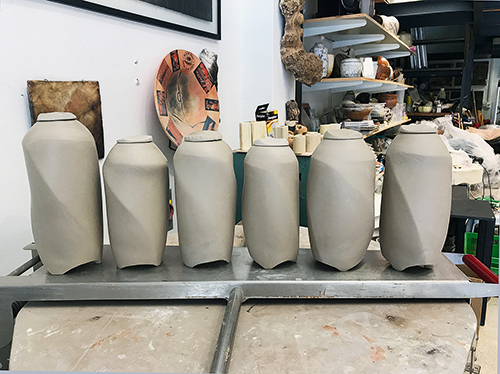 He discovered the magic of clay when he took a ceramics course as an elective class during his senior year at the University of Mary Washington in Fredericksburg, Virginia in 1996. Instantly, he was hooked. Hadrian says, „I found it so amazing that one can take clay from the earth and use fire to create a permanent object that can last centuries. 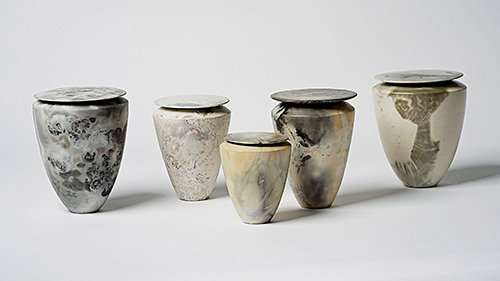 These ceramic objects then reflect a way of life of a certain time period.“ After realizing that he wanted to continue working with the material, Mendoza then decided to pursue an apprenticeship with Jon and Tessy Pettyjohn in the Philippines in 1997. A year later he mounted his first solo exhibition at The Metropolitan Museum of Manila in 1998. 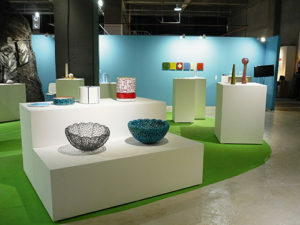 Mendoza’s works are rooted in functional pottery as he has also explored the varied techniques that ceramics has to offer, which include coil and slab building. He believes that the hand should be evident in all his pieces. His tools are minimal as he only uses the basic ones. Sometimes his fingerprints are evident on the surface of some of his works. A thick folder is lying in front of Angelika Jansen. „From that, I can see how time flies,“ says the ceramist, looking back of forty years working freelance in her own studio. Further evidence of her deca-des of steady work is the four-centimetre long and three-centimetre wide burnishing stone, shiny in places, which her son gave her 27 years ago and subsequently has been used to burnish every one of her pieces. More than a tool, this smooth little stone is almost a talisman. Jansen graduated from the Fachochschule Niederrhein (Lower Rhine University of Applied Aciences) in early 1978 and three years later she was officially recognised as an artist by an examining committee in Cologne, without which at that time it was not permitted to run a studio. 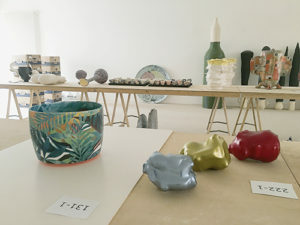 What connects the ceramist from 1978 with the one from 2017? It is the artistic approach of using a reductive stylistic idiom and treating the surface of the finished piece so that a harmonious unity with the form is created. A new branch of science is neuroaesthetics. But what expectations can the creator of new things in the world have of brain research? Nature is anxious to preserve species as they exist. Humankind, in contrast, is anxious to preserve human nature in change. As it controls behaviour, is the brain also the controlling instance in the creative process? The aim of neauroaesthetics is to study sensations when viewing art as well as the creative processes in the creation of a work of art. Are there laws upon which aesthetic perceptions are based? 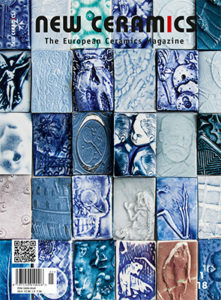 Aesthetic sensations can arise simply when seeing but also from learning, thinking or cognition. The last of these is the case when art is not defined by beauty alone but also by its content – thinking then occurs in the brain. In this infinitely complex nexus, concealed connections not perceived by the eye are formed. The area of the brain where judgements are formed from this basis is, in evolutionary terms, a young part of the cerebral cortex immediately above the eyes. 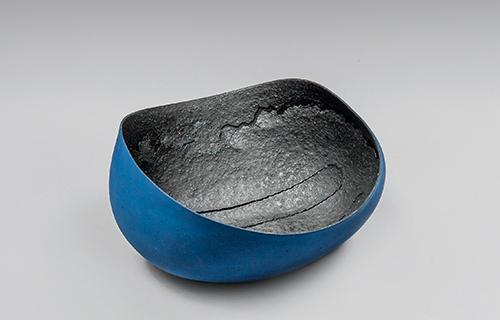 Steven Heinemann: Culture and Nature will examine the artist’s fascinating and evolving process to reveal how he uses form, texture, pigment, and imagery to achieve his wondrously tactile bowls, pods, and other universal shapes. 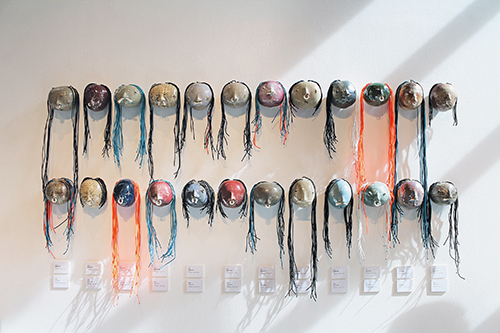 The comprehensive survey – comprising more than 70 objects spanning Heinemann’s career since 1979 and featuring new work – is organized by Gardiner Museum Adjunct Curator Rachel Gotlieb. Heinmann’s process can stretch over months and even years, firing a piece multiple times, and reworking the surface by sandblasting, scratching, polishing, and stencilling to evoke glyph-like motifs. 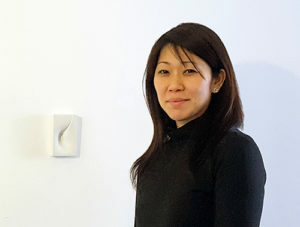 Heinemann’s studio is evoked in the gallery through an installation of sketchbooks and source material, including original photographs and a wall of ceramic test tiles. A time-lapse video shot by the artist documents a treated clay surface as it dries, warps, and cracks according to chance and calculation. Cheongju is a provincial capital with nearly a million inhabitants, 130 km southeast of Seoul, but hardly anyone I asked has heard of it. And yet Cheongju has a long history going back to the era of the Three Kingdoms. Since the completion of the Gyeongbu railway in 1905, it is also a major transportation hub and has even had its own airport since 1997. There are six universities in the city and culture is very important. Cheongju is also said to be the birthplace of book printing. In the Heungdeok Temple at the end of the 14th century, around 80 years before Gutenberg, the Jikji was printed, the oldest surviving book printed with movable metal type; it deals with Buddhist themes. Six hundred years later, the Korean initiators linked up with this heritage when they launched the first international biennial devoted to crafts of all genres in 1999. Since then, the Cheongju International Craft Biennale Committee (CICBC) has steadily and single-mindedly developed and enlarged the event. It is now considered to be unique in its kind, is very well known and enjoys widespread recognition in Asia. With as many as 3,000 artists from 60 countries, the Biennale has now become one of the largest exhibitions of contemporary art, craft and design in the world. Thanks to archaeological finds, we know that jewellery is almost as old as mankind. These objects of stones, bones, shells, metals, glass, or clay are items of prestige, beauty, power, but also of mystical energy, protection, and are health bringers. Gemstones like amber are believed to disperse negative energy, bring luck, and comfort; amethyst is meant to reduce grief, anger, depression. The list of medicinal qualities of gemstones, and the folk belief in them are phenomenal. Think of the blue glass eye beads, in the Middle East, that are still worn to fend off the evil eye. The oldest man made jewellery in the form of beads or amulets dates back to pre-dynastic Egypt, around 3000 BC. These faience beads were later coated with an alkaline layer. It is known that the Egyptians placed a scarab bead on the belly button of the deceased to protect them in their journey to the afterlife. In primitive cultures, where the the populace is poor and lacking, the place of jewellery is of foremost importance. Beads, nose rings, ear rings are important part of their identity. Mari-Ruth Oda was born in Port Moresby, Papua New Guinea in 1974. As a child, she lived all over the world. Now she lives and works in Manchester. Although she has spent most of her life in the West, she somehow relates to her Japanese roots and background and has been influenced by Shintoism with its worship of the idea of nature. Chen-Chou Liou was born in 1951 in Taiwan. He grew up in the countryside and feels a strong intimate attachment to nature. Surrounding by a magnificent environment, the rivers, mountains, fog or even climatic phenomena are important elements inspiring his work. Shamai’s works are bursting with colour, usually in warm shades of red, and catch the eye with interesting forms and design elements. Participants leave his workshops with an abundance of information about themes such as little-known firing methods like “milk firing”. Yes, very much so. But I hope you don’t think I am a pyromaniac… Joking aside though, my work is carefully planned, but with alternative firing methods, you can never fully control the process. The whole firing procedure has a will of its own, as it were, and the result is correspondingly unpredictable. 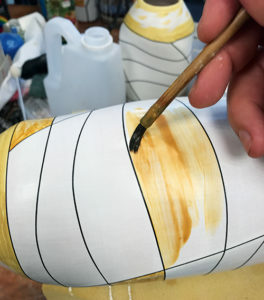 But that is what I like about this technique: I liberate myself from gas or air pressure in the kiln and surrender to nature, even knowing that I can never repeat the results. That produces unique objects.